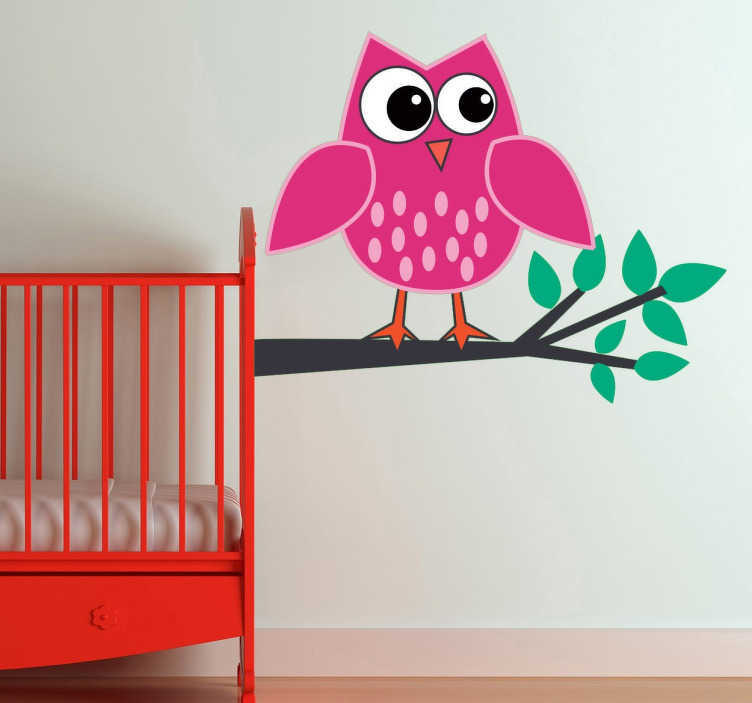 A kid's decal from our collection of owl wall stickers to decorate the bedroom of the little ones at home. A decorative decal of this bird on a tree branch. This design will give your home much more than just a fantastic appearance. A simple and an original design that will transform your children's room in a small forest with a friendly and cute pink owl. If your child loves owls then decorate his or her room with this fantastic owl decal. A superb design to give your child's bedroom or playroom a unique touch and create a joyful atmosphere for your child to play in. This owl wall art sticker is easy to apply and leave no residue upon removal. Remember to choose the size that best fits the smooth surface of your choice.